DPRK state media reported that Choe Pu Il, Minister of the People’s Security, was restored to his previous rank of four-star General (taejang) per an order of Kim Jong Un (Kim Cho’ng-u’n). Choe Pu Il was first promoted to General by late leader Kim Jong Il on 28 September 2010. Choe’s name appeared on a promotions list which also elevated Kim Jong Un, Choe Ryong Hae (current Director of the Korean People’s Army [KPA] General Political Department; later elevated to Vice Marshal [ch’asu]) Kim Kyong Ok (Senior Deputy (vice) Director of the Korean Workers’ Party [KWP] Organization Guidance Department), Hyon Yong Chol (then-commander of VIII Army Corps; served as Chief of the KPA General Staff from July 2012 to May 2013 and currently commander of V Army Corps) and Kim Kyong Hui (Kim Jong Un’s aunt and a core member of the DPRK leadership). Choe was rumored to have been reduced rank to three-star Colonel-General (sangjang) in late 2011, although it is not clear what prompted his demotion. 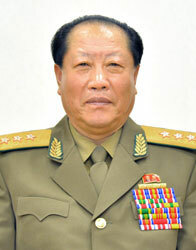 From about 2012 until February 2013 Choe Pu Il served as the Chief of the KPA General Staff Operations Bureau. In February he was appointed Minister of the People’s Security, where he replaced Gen. Ri Myong Su. On 31 March 2013, Choe was elected an alternate (candidate) member of the KWP Political Bureau and at the 7th session (plenum) of the 12th Supreme People’s Assembly [SPA] on 1 April 2013 Choe was elected a member of the DPRK National Defense Commission [NDC]. Graphic of the key bureaus of the Ministry of the People’s Security (Graphic by Michael Madden/NK Leadership Watch). Choe Pu Il’s February 2013 appointment as Minister created a superficial gap in the power balance among the DPRK’s internal security agencies. His counterpart at the Ministry of State Security, Kim Won Hong, was a four-star general. The formal military rankings of these agencies’ leading officials suggest that the one led by a full-general has a more superior position, and valued more by the leader, than an agency led by a three-star general. Based on his observed and reported public activities, Kim Jong Un appeared to be favoring the Ministry of State Security over the Ministry of the People’s Security. Both ministries erected statues of late leader Kim Jong Il on the campuses of their respective headquarters, however Kim Jong Un visited the Ministry of State Security after it unveiled its KJI statue, but not the MPS. The MPS, however, demonstrated its political clout in 2012 when KPISF commander, Gen. Kim In Sik, was appointed Vice Premier of the DPRK Cabinet and later appointed Chairman of the Capital City (Pyongyang) Construction Commission. Kim Jong Un visited People’s Security headquarters and inspected a KPISF unit on May Day (1 May; International Labor Day) 2013. 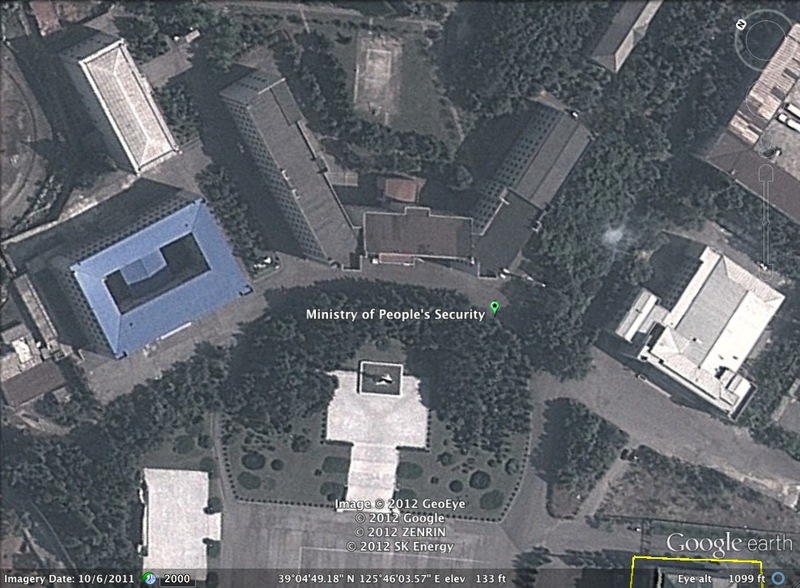 The Ministry of the People’s Security is a large security organization consisting of (ca.) 200,000 employees with diverse missions. In DPRK vernacular, the MPS is “a dinosaur” indicating the immense size and resources of the organization. The MPS is the DPRK’s major domestic law enforcement and public safety organization. It enforces DPRK laws and statutes (i.e. misdemeanors and felonies), discharges a number of public safety functions (fire departments, traffic control, road and railway security), administers prisons and labor detention facilities and is responsible for various registration records (the census, birth and death certificates, marriage licenses). MPS personnel provide security to DPRK Embassies and missions located abroad, to DPRK Cabinet members and other DPRK government officials and DPRK universities and research institutions. They also support the missions of the Guard Command, which provides close protection for Kim Jong Un and others core DPRK elites. The MPS and the KPISF also operate several engineering and construction brigades (which some sources claim construct the tunnels used in nuclear detonations) and own several farms and other production sites, including the Taedonggang Combined Fruit Farm and Factory and the 927 Chicken Farm. The MPS and KPISF are subordinate to the National Defense Commission, but they report to Jang Song Taek in his capacity as NDC Vice Chairman and Director of the KWP Administration Department. Ministers of the People’s (Public) Security from 2000 through the present (Graphic by Michael Madden/NK Leadership Watch). Like some other recent personnel changes at the upper tier of the DPRK’s** national security community, Choe Pu Il’s replacement of Ri Myong Su did not involve an aggressive purge of the incumbent official in favor of a Kim Jong Un loyalist. Despite being removed from office, Gen. Ri appears to remain a member of the central leadership, albeit operating in a diminished capacity. Like his two immediate predecessors, Choe has spent part of his career in command positions in the KPA’s conventional forces. Both Choe Pu Il and Ri Myong Su have held the position of Chief of the KPA General Staff Operations Bureau [GSOB]. Choe was head of the operations bureau from 2012 to 2013 and Ri headed the bureau from approximately 1996 to 2007. Like the Minister of People’s Security, the Chief of the General Staff Operations Bureau leads a diverse security organization with hundred of thousands of personnel, has direct access to the supreme leader and an intimate knowledge of the country’s various power organizations and their activities. While not a head of the GSOB, Ri Myong Su’s predecessor, Gen. Ju Sang Song, had served as an inspector-general of the Chief KPA General Staff and was the commander of the IV Army Corps. Since the health-related retirement of Paek Hak Rim in 2003, the MPS had only once been led by a civilian, Choe Ryong Su, who served as Minister for about a year until he was removed from office. Since Choe’s 2004 dismissal, the DPRK leadership has seemingly earmarked the Minister’s position for the KPA. 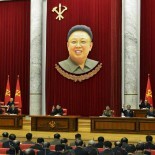 **Rumors of purged security officials are greatly exaggerated in the Pyongyang watching community. Gen. U Tong Chuk stood aside as Minister of State Security in 2012 and vacated his political offices, but was never purged. Readers can do the math on Gen. U’s status, factoring in that he spent much of his career as an overseas intelligence manager and officer. VMar Kim Jong Gak was removed as Minister of the People’s Armed Forces in November 2011, but has not lost his Vice Marshal’s rank and was assigned another position. Hyon Yong Chol, who served as Chief of the KPA General Staff from July 2012 to May 2013, was reduced in rank and assigned command of V Army Corps. And then there’s Kim Kyok Sik, removed from office as Minister of the People’s Armed Forces in May 2013 after six months in officer. Gen. Kim, identified as the target of the biggest purge this side of ’56, ended up appointed Chief of the General Staff. Presumably, if the Minister gets promoted, that means headroom for everyone else as well. Alas, Inspector O is retired, on a meager pension. Meager and fixed. Is that how Little Lee got his gig in Ch’o’ngjin? If I recall correctly, as part of the Inspector’s retirement package, the MPS did get him a ‘phone line and a decent supply of wood and building materials. This entry was posted on 06/12/2013 by nkleadershipwatch in 2007-2010 kpa management, Administration Department, Central Committee, Central Military Committee, Col. Gen. Ri Pyong Sam, colonel general, corps command, critical infrastructure, DPRK Cabinet, DPRK External Relations, DPRK Intelligence Community, Gen. Choe Pu Il, Gen. Hyon Yong Chol, Gen. Kim Kyok Sik, Gen. Ri Myong Su, gsd, gsob, Guard Command, internal crisis, Jang Song-thaek, Kim Chong-un inspections, Kim Family, Kim Jong Un Visits, Kim Jong-il, Kim Jong-un, KJI Personal Secretariat, Korean People's Army (KPA), Korean People's Internal Security Forces, Korean Workers' Party (KWP), KPA General Staff, March 2013 KWP Central Committee Meeting (plenary session), Minister of People's Security/KPISF construction units, ministry of people's security, Ministry of Public Security, Ministry of State Security, National Defense Commission (NDC), NDC Administration Department, North Korean press, Political Bureau, population control, primary party committees, Provinicial People's Committee, State Security Department, Supreme People's Assembly, transportation, tunnel construction, VMar Kim Jong Gak.